If you have been promoting your content on different social media to boost the rankings, it may be surprising to know that some experts do not agree that this works. There is a relationship that exists. However, it is not obvious. Read on to find out how exactly you can improve your rankings on the basis and extent of your social presence. Experts from social media marketing services in India would opine that social media does not directly contribute to the ranking, but there is a compacted relationship that exists between the two. This is confusing as there is ample evidence already that the number of likes to your social media post contributes to the level of ranking. When a website ranks higher, it has a better social media presence. Whereas for the search engine Bing social shares and likes form a direct ranking factor, in the case of Google, their criteria are different. The fact that Google dominates US search queries (about 63%; Bing 24%) is also true. For Google, whereas social media share is not directly a ranking factor, I can serve to amplify other ranking factors that are important. An expert SEO company in Kerala like Socialpulsar.in will tell you that while social media may not be a ranking factor for Google, it can amplify the ranking factors that Google DOES consider. Social media has been created for the purpose of mass sharing and is just about the best tool that can be used for the purpose. Therefore, its optimum use adds to the visibility of your brand. If more people end up sharing your content on social media, the chances that more people will link to your brand increase. Links, as you may already know, form a very significant SEO ranking factor. 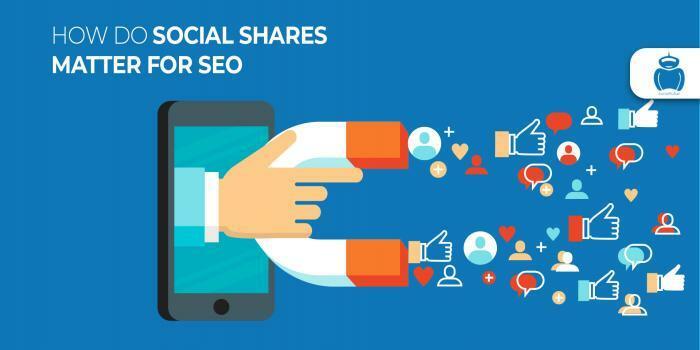 To get maximum SEO benefits for marketing your brand through social media, your social media presence needs to be optimized for maximizing the visibility. For this, you can engage the services of a reputed social media management company in Kerala. The social media management services company would first optimize your social media profiles and feed consistent information all across all the social media platforms. They will ensure that your bio is relevant to your form of business. They will include a link to your website. They would post updates regularly according to a pre-set schedule suitable to the social media platform. They would also be optimized for shareability which means they will have attractive headings and use stunning and eye-catching visuals explicitly request shares. They would use promotional videos to help you rank better. Ultimately, for Google ranking to be high, it is the engagement rate that matters and not merely the presence of the brand in social media.